I like that they mention the RCMP. We knew they were badass. 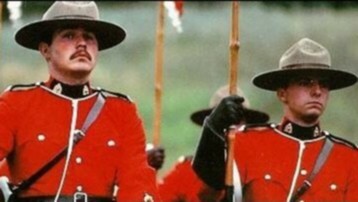 If you commit a crime in Canada and try to evade the Mounties by slipping over into the States, then you’ve fundamentally misunderstood the power of the Mounties. They can just gallop over the border and shoot you in Maine, because they have international jurisdiction. Not to mention their paramilitary hoard of weaponry and vehicles including trucks, snowmobiles, aircraft, sea vessels and a goddamn train.